KARR is back from the shop and has new polyurethane front lower and upper control arm bushings, upper and lower ball joints, polyurethane end links, polyurethane sway bar bushings, and front spring pads. He also got a new ignition module, pick up coil, distributor cap, and rotor. He seems happy, but with KARR that isn't always the easiest thing to tell. He is spoiled for sure, of that I have no doubt. Here are the new Fiero chrome valve stem caps. We had something really amazing happen while reupholstering the seats in KARR. When we were taking the old fabric off we noticed the date stamped into the back of the material. It read 5 29 86 and it was 5/29/2016 the day we were working on them. Thirty years later to the day! Is that not awesome? I mean what are the odds!? Today I had to take KARR to Ipswich, South Dakota for work, and got hailed on twice! It was marble sized hail, but did not do any damage that I can see. Still, not cool! The end links came in for KARR this afternoon and since we are taking him to Sioux City, Iowa for a Boston concert tomorrow, I did not want to mess with installing them myself. I took KARR over to Troy's shop so he could install them and give him a once over before we take him on a long road trip. Or so I thought...in addition to the end links and sway bar bushings, the front upper control arm bushings and the upper ball joints are all pretty much shot. There is a ton of play in the wheels. I have ordered all the necessary parts, and while I am at it I am replacing the lower ball joints, lower control arm bushings and the spring pads, too. I am going with polyurethane parts, so they will last, and also help to stiffen up the front end. 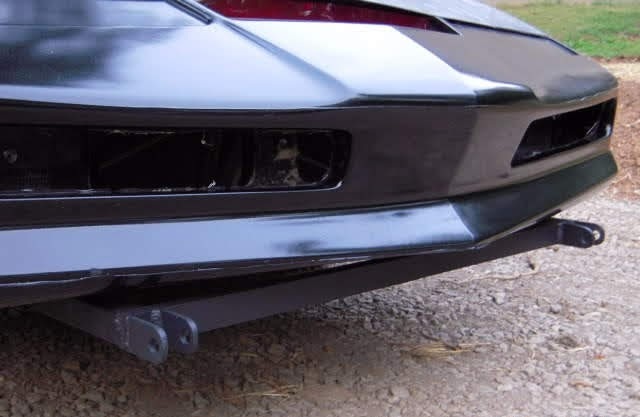 Since I was blowing money like the Aberdeen wind lately, I decided to also order some chrome valve stem caps with the Fiero logo, a Fiero "We Drive Excitement" t-shirt, and a fender gripper mat that has the Fiero logo on it. I did get some good news today though...my new shift knob from Matt arrived! Project: K.I.T.T. Is On Facebook! We finally did it! Project: K.I.T.T. is on Facebook! People have been trying to get us on Facebook since the Project started and we finally gave in. Since we do not use Facebook for anything else, we are not sure how active we will be on there. However, we will for sure post all of our blog posts on that page. Hey guys I hope everyone is well. I have some announcements to make. Please share this with friends so everyone can be informed of the changes. I am wrapping up the last of all my paid orders. After those are complete I am shifting the way I sell parts. From that point on I will no longer be taking orders. I will simply build parts and put them up for sale auction style right here on facebook. This means there will be no long wait times for those who have the funds. So here is the example, I build a pilot bumper, I post pics or vids of it here, I say the start price is 1250, I let it run for a posted time, when the time is up the best offer gets the bumper. This eliminates the long list, the long waits, and most of all the stress of a long list and long wait. Granted all my guys are good customers, and are very respectful. However I stress myself out because I don't like making people wait. It is what it is though, because it is only me building the parts. If I sub it out, it just won't be the same, the quality would suffer and I just can't have that. I am scaling back the options. I am running one last set of towbars and blackouts. After that, once ALL my stock is gone for fab, and miscellaneous parts (overlays, plastics,switches, etc) I will only be offering fiberglass parts. Many but not all of the things that I was the first to bring to the hobby can now be found in other places so not much use in me buying tons of stock to sell here and there. I have knight rider stuff coming out of every nook and cranny and I am a bit tired of it. So to rehash I am gearing up to run one last set of blackouts and towbars. I will make a separate thread request so I know how many to build. Thanks guys, if you have any questions please ask. I have to have a tow bar if KITT is to look authentic, so I added my name to the list tonight. Here is what the the tow bar looks like. Over the last few days I have been working on cleaning the contacts. I started with the contact that was in the worst shape. As you can see, this one was very heavily corroded. Next up: The taillight sockets. I decided it would be impossible to try to judge the condition of the contacts in these sockets without taking them apart and seeing just what was inside. The last couple of days I have been working on restoring the taillight harness. Although I am completely redoing all of the wiring in the car, the taillight harness is one section that will have to be reused. I had previously removed the plastic loom and marked the position of all the breakouts as I cleaned the wires. After work on Monday I removed the hardware from the driver side window. There were four rivets that needed to be removed in order to get everything off of the glass. I am used to being able to just drill out the rivets, but these rivets are not traditional rivets. They have a long threaded shank protruding through the rivet head. I knew that I would have to use my high-speed rotary tool to cut off the shanks before I could drill them out, so I started with that. We changed the oil in both the Freestyle and KARR today and also took care of a few items that have been on the to do list. I cleaned KITT's old door glass so we can remove the hardware as it will be needed on the new glass we have. I took these pictures more for future reference than anything. 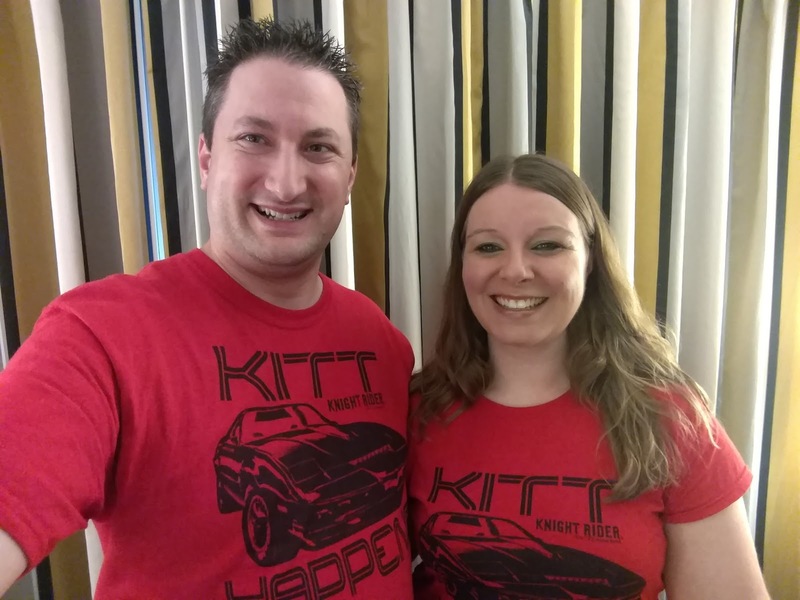 Project: K.I.T.T is a member and proud supporter of the Knight Rider Revolution! 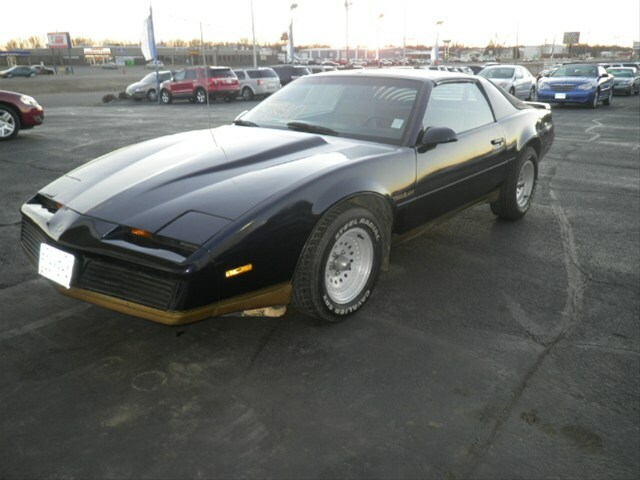 The Revolution is the premier forum for replicas and all things Knight Rider. Project: K.I.T.T. 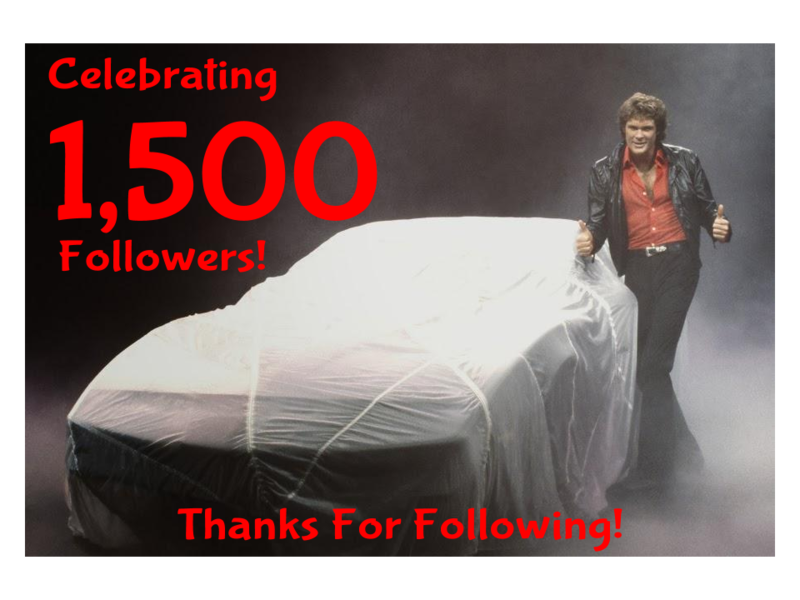 's Google+ page hit 1,500 followers today! Thanks to everyone for your continued interest and support! Tomorrow is Sara Imberi's birthday. Not only is she my favorite technician (no offense Bonnie) but she is also part of the team responsible for rebuilding me. She is always so thoughtful and loving. Even in my rather incomplete state (I'm afraid I am showing more parts than I care to at the moment) she always cleans me up and makes sure I look my best. 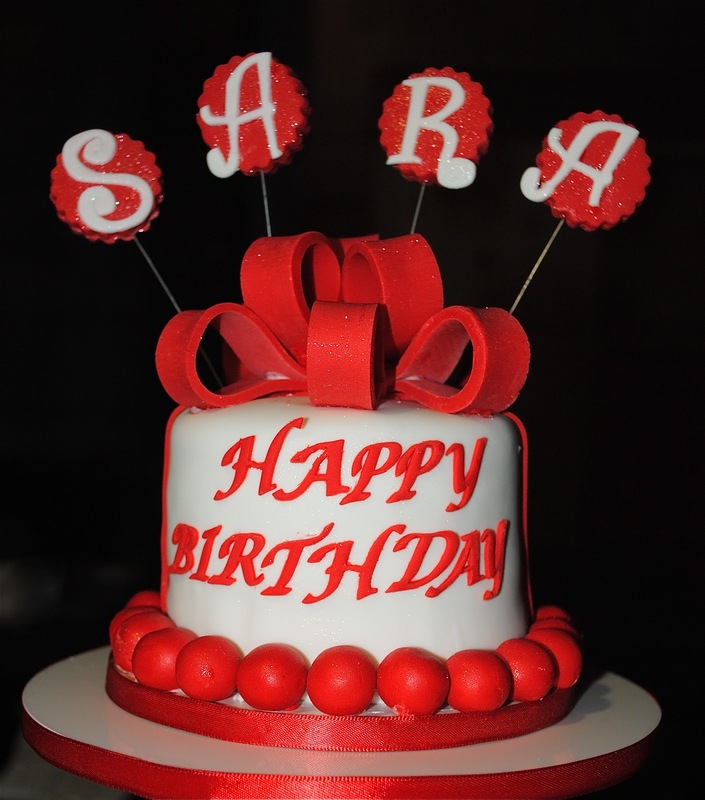 Have a very Happy Birthday Sara! Please join me in wishing Sara Imberi a Happy Birthday ! As promised, here is a more detailed unboxing of all the Painless Performance wiring harness products we ordered. Since I have not yet had a chance to read all the literature that comes with them, I am not going to go into a lot of written detail. I think the pictures speak for themselves and I would I hate to identify something incorrectly. This anniversary feels a little bitter-sweet. It is always exciting to celebrate another year gone by for the Project, but this time I feel like "Man, has it really been four years?" Setbacks just happen with any project, I know that, but I think I let the painting fiasco affect me more than it should. I lost motivation as a result. 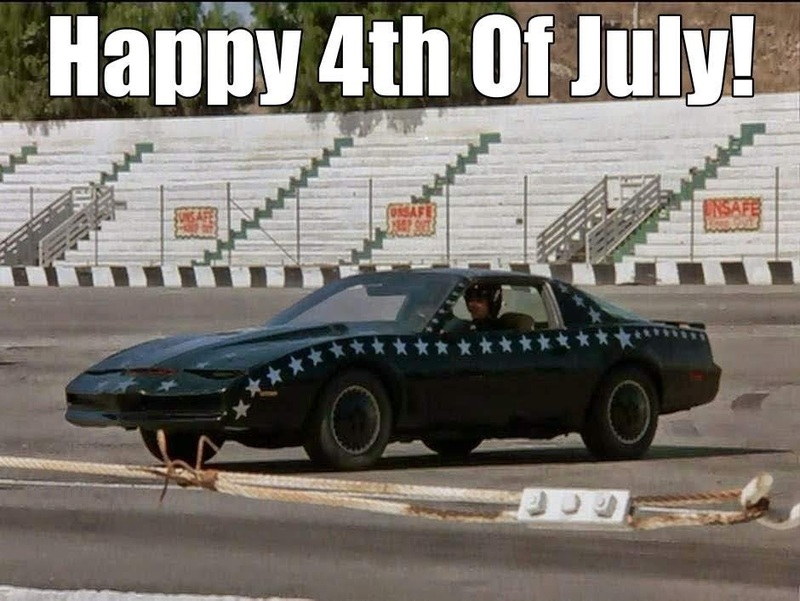 I distracted myself by getting caught up in other things and just did not put a priority on KITT. I tried several times to reestablish the pace Sara and I had at the start of the Project, but so far it just hasn't been the same. Project: K.I.T.T. 's anniversary is just around the corner and it has me feeling a bit nostalgic. Remember back, about a year and a half ago, when we brought KITT online for the first time? It has been awhile since I have posted a picture of KITT. Well, here is what he looks like right now. It has been far too long since there were regular updates on Project: K.I.T.T. That is going to change starting now! We decided to dive right back into the project with something big, so we ordered KITT's new wiring harnesses. This is truly where all the magic begins. 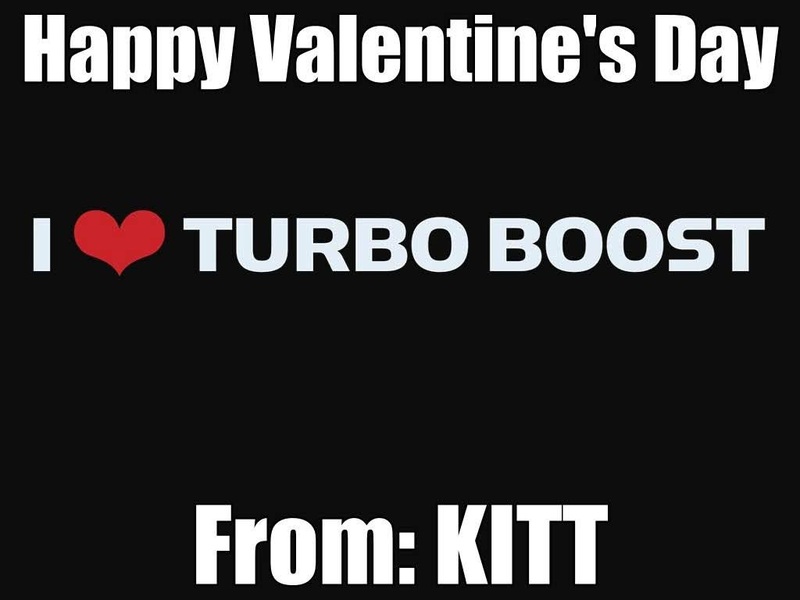 KITT would not be KITT without a solid electrical harness powering all his awesome systems and electronics. As previously discussed, we have decided to go with a new harness entirely and wire KITT from scratch. There are just too many variables when trying to reuse an old harness. We will still need many of the connectors from the old harness, but all the wiring will be new. We decided to go with harnesses from Painless Performance. I have done a lot of research and Painless Performance seems to have the highest quality custom harnesses, offering the most flexibility and great support. PowerBraid is a flexible, semi-rigid material, with a tough woven texture and appearance to enhance the look and protect the insulation of any electrical wires. I use something similar to this at work for all of our computer cable management. This stuff is awesome and much more resilient that the old plastic style sheathing. Painless called me today to verify my order, and told me it should ship out today. I am really looking forward to receiving it, and I will do an unboxing video when it arrives!